Major continues the trend of reviving long-forgotten pioneers. He was the unrivaled star of the world’s most popular sport, recognized throughout the world for his astonishing speed, skill and charisma. But you’ve probably never heard of him. And Hennessy wants to change that. 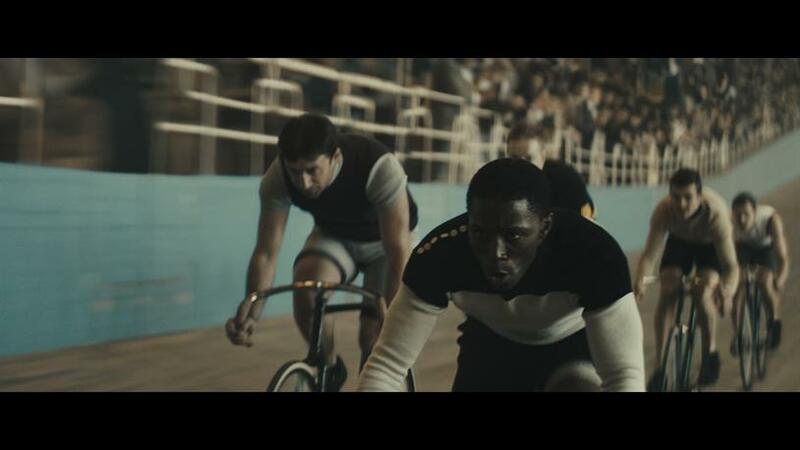 The cognac brand’s latest creative is Major, a suite of spots about track cycling champion Marshall ‘Major’ Taylor, who between 1896 and 1910 set record after record on the velodrome, all the while facing harsh racism as an African-American athlete at the turn of the century. "Marshall ‘Major’ Taylor’s perseverance to achieve new levels of greatness despite adversity is universally inspiring," said Hennessy US SVP Giles Woodyer in a statement. "We feel it’s important to shine a light on this story and hope it inspires people around the world to push the limits of their own potential." Major continues the brand’s "Wild Rabbit" campaign, a series of high-production narrative films focused on themes of passion, drive and greatness. Directed by Derek Cianfrance, the 30 and 15-second spots on Taylor debut this weekend during the NBA playoffs, with 90 ad 60-second versions appearing digitally. Previous campaigns were focused mostly on video, but Major is the brand’s most significant integrated campaign to date, with activations well outside traditional channels. Kerby Jean-Raymond, the designer behind Pyer Moss, created a capsule collection. Artist Kadir Nelson, a cycling fan whose painting graced the cover of Drake’s Nothing Was the Same, cast a bronze sculpture of Taylor. And a short-form doc from ESPN debuting April 22 highlights current-day black cycling icons Nigel Sylvester, a BMX star, and Ayesha McGowan, who is working to become the first-ever professional African-American female cyclist. Elements of the campaign will appear across social, mobile, desktop and TV throughout 2018. As the world’s best-selling cognac and the growth driver of wines and spirits for its parent company LVMH, Hennessy has room to experiment with its creative. The brand debuted "Wild Rabbit" and its tagline "Never stop. Never settle." in 2012 after bringing Droga5 onboard in 2011. It signaled a shift in the brand’s marketing from a more typical lifestyle-focused message to "speaking to a personal value our core consumer, men ages 21 to 34, are really grappling with: realizing one’s potential," as Moët-Hennessy’s then-SVP Rodney Williams said at the time (he is now president & CEO of Belvedere Vodka). The initial slate of spots featured Erykah Badu, Martin Scorsese and Manny Pacquiao. Nas was part of the next batch and has provided voice-overs for everything since. For the third and fourth installments, the Wild Rabbits became time travelers: 2013’s The Man Who Couldn’t Slow Down followed Sir Malcolm Campbell, who in 1935 became the first person to break the 300 m.p.h. land speed record. In 2016 Hennessy introduced The Piccards, about a family whose father and son became the first to reach the stratosphere and the deepest depths of the ocean, decades apart. Major continues the trend of reviving long-forgotten pioneers who were icons in their day.